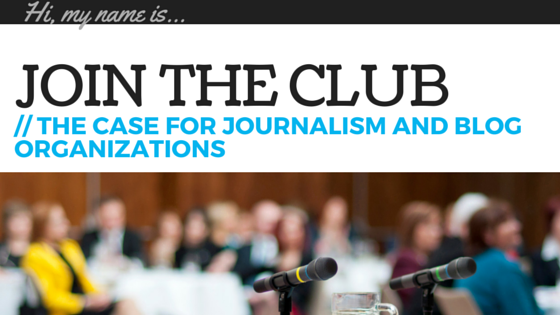 If you’re a longtime journalist, you’re likely familiar with the media clubs and organizations available to you. If you’re new to the newsroom, you’ll probably hear about them soon from your colleagues. That’s because journalism organizations run the gamut from niche to very large/all encompassing. And it appears – at least by some measure – everyone is diving into this pool. SABEW’s benefits include educational events, monthly teletrainings, regional meet-ups, and networking opportunities. Just 20 years to 30 years ago, SABEW mostly was comprised of business editors for newspapers across the country. That solid base has changed with the dawn of smaller news organizations, publications, and digital media. So the field is changing, and that’s not necessarily a bad thing. Journalism groups just have to keep up. Every group offers members something special. Indianapolis-based Society of Professional Journalists (SPJ) stays focused on advocacy and journalist rights. “We’re trying to provide everything to everyone,” says Tara Puckey, freelance journalist and SPJ membership strategist. SPJ membership director Linda Hall says the group has about 7,400 members. For the professional annual rate of $75, SPJ members receive trainings, insurance and financial services (example: errors and omissions insurance for freelancers), and a host of discounts (On an AP Stylebook and at Office Depot, OfficeMax, Wyndham, Red Roof Inn, Motel 6, and Budget Rent A Car, to name a few). SPJ also holds an annual conference called Excellence in Journalism, which will be co-produced this September with the Radio Television Digital News Association and National Association of Hispanic Journalists. Then there’s the National Press Club (NPC), which caters to both journalists and communications professionals worldwide. Its membership numbers around 3,100. NPC not only offers members events like professional development programs (examples: Data mining and how to use drones for media recording), social and networking receptions, speaker engagements, and journalism awards, but it also offers a physical space to meet – a clubhouse. Want to file your story from NPC? No problem. Club facilities include a research library, workspace, gym, restaurants, and meeting rooms. There’s also a bar. SPJ’s Puckey says the vast majority of how the group speaks with journalists today is through social media, namely Twitter, Facebook, and Instagram. “As far as starting conversations and figuring out what they need, social media has been an incredible tool,” she says. NPC uses social media to help bring awareness to club events as well as build its brand. And ONA credits its membership growth to social media and its local groups. Online, the group has a few large Facebook groups that help organize meet-ups and serve as the mechanism for people to connect. Even BlogHer, which just wrapped its #BlogHer15 annual meeting in New York, recognizes the strength of networking and building community. Elisa Camahort Page, SVP of community content and events with SheKnows Media, says events and communities like BlogHer foster solidarity in a like-minded group. Camahort Page is one of the three co-founders and was COO of BlogHer, Inc. Even less formal media groups have solid foundations online. FitBloggin, for example, doesn’t have “members” in a traditional sense. Especially with how quickly newsrooms are changing – and downsizing – journalism clubs and organizations help reporters and editors bounce back from unforeseen challenges. NPC membership director Melinda Cooke says it all comes down to networking. 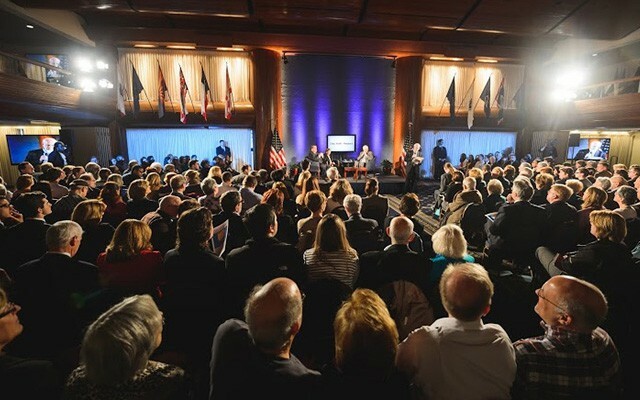 The confluence of traditional and new media journalists and communications/PR professionals makes the press club an ideal location for connecting. “There are a lot of synergies here that can make a transition easy,” Taylor says. One evolution taking place within the media environment is the progression toward sponsored and paid content, Taylor adds. Camahort Page says BlogHer’s online and conference community definitely has helped people land gigs, find clients, and get jobs. BlogHer opportunities to earn and grow can be found here.